Dokan Vendor Vacation module helps a vendor to temporarily disable his/her store when they want to take a vacation or do not want to do business for some time. 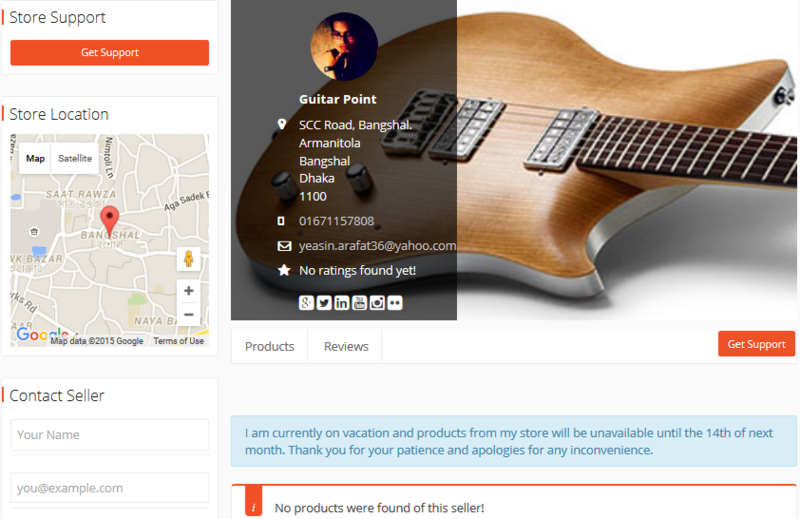 When vendors are going on a vacation, they can turn on vacation mode to temporarily take their product offline with a notice on their store page. Navigate to your WP dashboard->Dokan->Modules. Find Seller Vacation and turn on the toggle button on the top right to activate this module. When you want to go to vacation or just want to turn off your store publicly, you can turn on vacation mode by going to your Vendor Dashboard → Settings → Store. Scroll down until you see Go to Vacation. Mark the check box and type a custom message in the Set Vacation Message text box. What you type here will show up as a notice on top of your public store as long as the Vacation mode is turned on. Click Update Settings button to save changes and turn on vacation mode. Simply go to Vendor Dashboard >Settings and uncheck Go to Vacation, then click Update Settings. This will turn off the vacation mode and return all your products to public viewing. If you’d rather turn on vacation mode and turn it off after a certain time, you can set the vacation mode start and end date. Go to Vendor Dashboard>Settings, Check Go to Vacation, and choose Date Wise Close from the drop-down menu next to Closing Style. Do you have any feature request or having difficulty to understand this doc? Don't hesitate to let us know in our support forum.